Cedarbrook Mall gets higher quality light and a great return on investment. 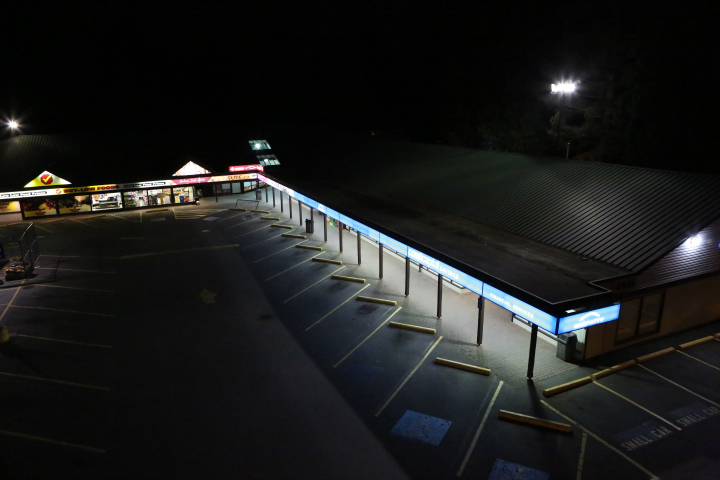 Property manager Glen Pirie of Chartwell Realty contacted Metcalfe Lighting which conducts commercial LED lighting projects throughout Metro Vancouver, to upgrade their existing lighting system to LED for their Cedarbrook Mall property in Langley, BC. 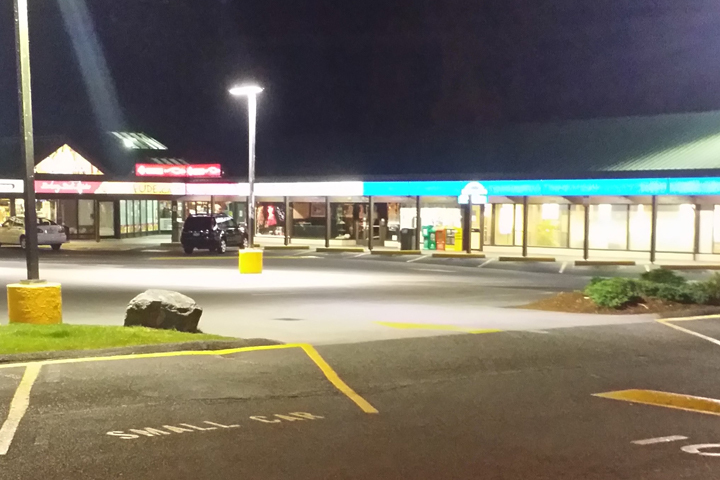 The goal was to increase the lighting levels in the centre’s parking lot, which was outfitted with older-style metal halide lighting. Metcalfe Lighting conducted an energy audit and set to work with BC Hydro to take advantage of incentives that could improve project outcomes and mitigate costs. 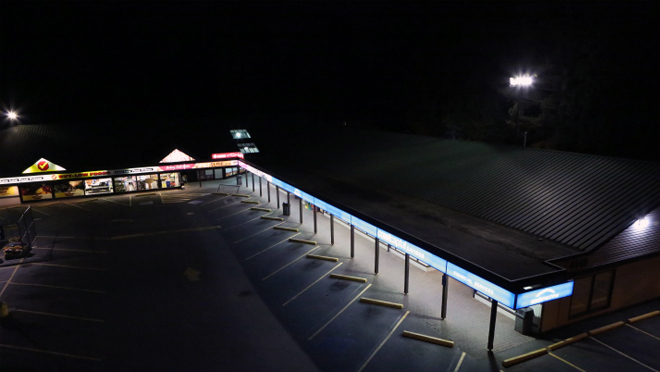 In addition to the parking lot, the project included exterior LED flood lights and wall packs mounted to the building. Metal halide was replaced with efficient LED, cutting energy use in those areas by more than 60%. With the additional upgrade included in the plan, the project’s total energy savings qualified for incentives of nearly 30% the project cost. The overall project saves 160,000 kWh of energy per year, for savings of nearly $7,000 in energy costs and an additional $5,000 reduction in maintenance costs. Plus it qualified for a BC Hydro incentive of $17,000, giving a payback period under three years. “The parking lot was going to be upgraded one way or the other, but we were able to expand the improvements to the extra areas, and that wouldn’t have been on the radar had we not been able to leverage some incentive dollars,” says Pirie. Having been through one lighting upgrade, Macwilliam says he learned a few things he’ll apply in his next one (the company is considering a project ten times the size, at the Metrotown mall in Burnaby). In particular: all light does not appear the same. Although the plan sounded simple enough – to double the quantity of light (measured in lumens) in the parking lot – Pirie says they didn’t fully appreciate the difference in the quality of the light.